Anyone that’s owned a pinball machine knows that eventually something is break. Whether it be a flipper, a rubber, a ramp, etc, at some point a part fails while you’re playing. Heck even the balls get pitted after a while, you even need to replace them even if nothing else breaks. For a lot of people though, finding out where to order stuff is tough. I’ve put together a list here of the best places to order parts from my past 13 years of experience. It’s purely my opinion, some other people may have totally different lists or opinions. Unfortunately, not one place is a central hub for all parts, most likely you’re going to have to use a bunch of these places depending on what breaks. It’s not unusual for me to order from 3 or 4 different places when completely fixing up a game. Without further ado, here’s the list. Pinball Life. This is the number one place I order parts from. Cheaper than almost everyone for common parts, their only downfall is that they lack a lot of game specific parts. So as long as the parts you need are just like rubbers, flippers, etc they’ll be the best, but if you need like a ramp for a game you’re likely going to have to order somewhere else. Marco Specialties. They typically have the biggest assortment of parts for games. Usually if I need a game specific part I check here first, then check somewhere else to see if I can get it cheaper. They’re a good company, but I find that typically their prices are higher than everyone else on everything including shipping. Sometimes they’ll surprise me with a good deal though. They ship fast, probably faster than almost everyone else to their credit. Bay Area Amusements. Like Marco, only they don’t have as many parts and have a way worse website. You’ll notice this with a lot of pinball parts vendors, their websites are from like the early 2000’s. They have a lot of game specific parts that I order, but I rarely order any common part, in part because it’s a pain to find. Comet. I know some people will say Cointaker and originally I would have said them too, but as they got bigger some of their competitors undercut them to a degree. Comet is the major player who took some of their market share. I order pretty much all my LED’s from Comet these days, high quality product at discount prices. Cointaker. The biggest LED vendor (or at least they were at one point) they’ve expanded out to new game sales, shaker motors, etc. Still offer some great game specific LED packages that are handy if you want to color match. I’ve used a couple of their game specific kits and they were mostly good, only a couple places where either I had the wrong LED or the machine I was working on had a different socket/color for some reason. Marco Specialties. They’ve got the best overall selection for game specific parts, although usually they’re most expensive for that part as well. Bay Area Amusements. Like Marco they’ve got a lot of specific parts for Williams, Bally, Data East, Sega, and Stern games. Pinball Resource. For Gottlieb parts, this is basically your only choice as they hold the license. It’s also like traveling back in time when you order from them. Credit cards? Won’t accept them. Online ordering? Nope. It all works through phone or email ordering and they bill you. They insist on part numbers, however, the part numbers aren’t readily available because you need the manual which they won’t allow digital copies of online, lol. So you get into this chicken/egg scenario where you need parts but don’t have a manual to look them up. Mezel Mods. They’re the official mod vendor for Stern and have made quite a business selling them. They’ve really expanded their selection. Modfather Pinball. They’ve also exploded onto the scene with their big selection. ColorDMD. While not a mod vendor like the others, they sell the most popular mod in pinball, the ColorDMD screen that colorizes old pinball machines. Pinball Pro. They make the best sound system for pinball machines in my opinion. Some people favor Flipper Fidelity though. 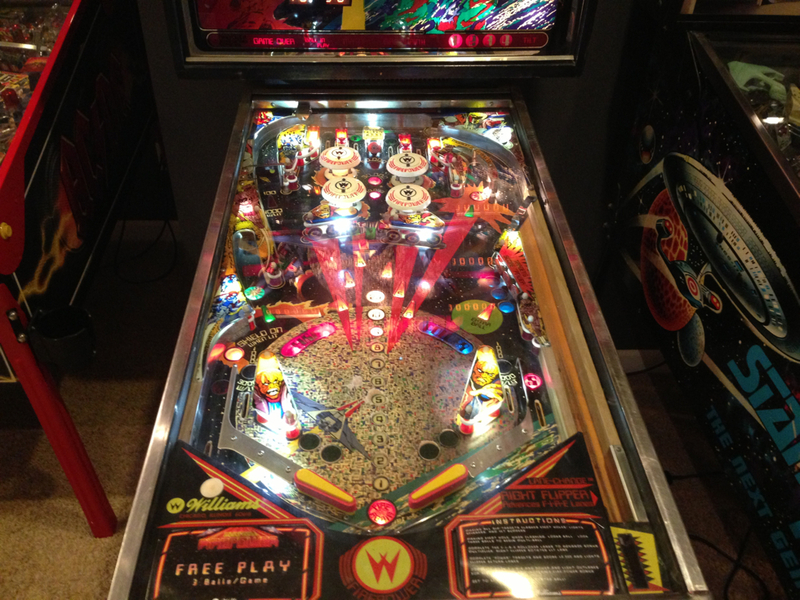 I think that the bass is tighter with the pinball pro system.